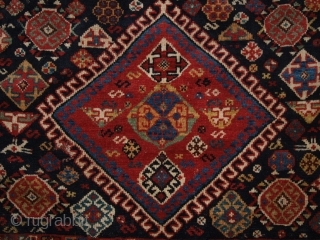 Antique Persian tribal Qashqai Khorjin of large size with plain weave back. www.knightsantiques.co.uk Size: 5ft 11in x 2ft 11in (180 x 89cm). Circa 1900. The saddle bag faces are very well drawn with a central latch hook medallion. 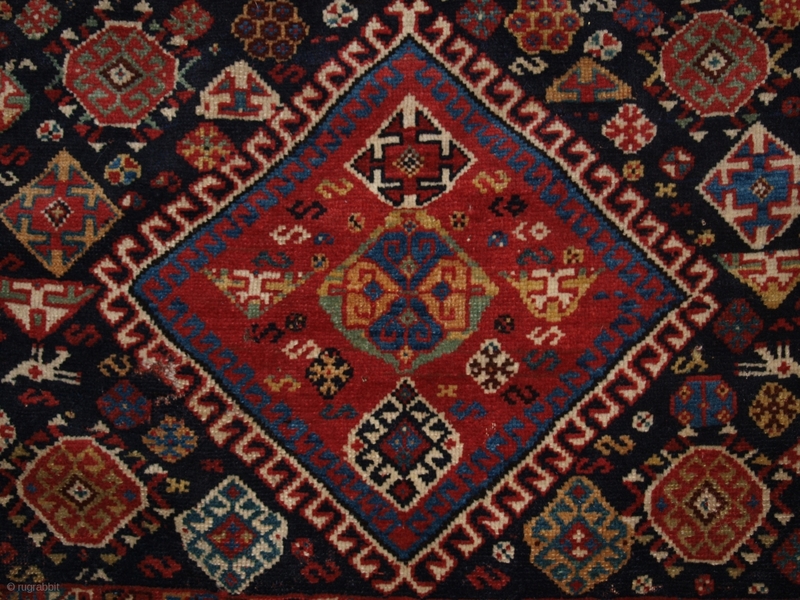 The design is found in Qashqai, Khamseh, Luri and Afshar weaving, the bags have a traditional south west Persian border. The decorative closing lappets are still in place at the top of each side. The bags have a plain weave back. The drawing of the bag faces is superb with many tribal elements including many small animals. The bags have wonderful colour. 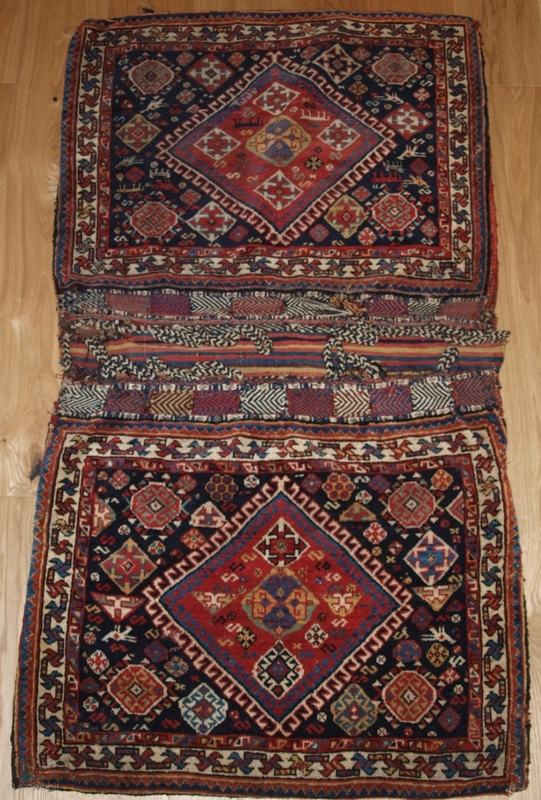 The Khorjin is in excellent condition with slight even wear and good pile. The wool is very soft and the bag face has a floppy handle. The khorjin has been hand washed and is ready for display. These are a really outstanding pair of bags of larger than normal size, they are an exceptional display item. Stock Number: h-185.